Blackberry is considered to be the curative berry as it is an effective remedy to fights colds: reduces temperature, reduces inflammation, destroys viruses and bacteria, as well as improves brain blood flow and improves overall immunity. Thus, blackberry confiture – is not only a tasty addition to tea, but also excellent for the prevention of many diseases! The walnut preserve is a super delicious, sweet dessert that appeals not only to children but also adults. This confiture has beneficial effects on the human body as well. It should also be noted that walnut confiture contains iodine. It also has its impact on strengthening immunity. Ingredients: Walnut, sugar, antioxidant: citric acid E330. 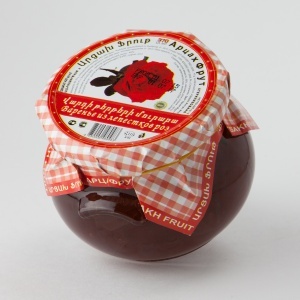 Confiture made of plum is a source of many vitamins and is generally very beneficial for health. In traditional medicine, plum is called “Body cleaner.” Plum confiture speeds up metabolism and is an aid to weight loss. 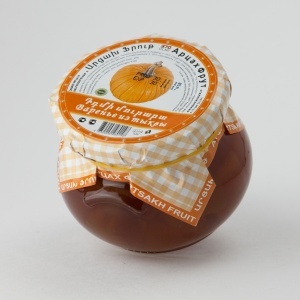 Fragrant quince confiture is not only delicious, but also useful. It is recommended to use in various diseases of the gastrointestinal tract. Due to the large amount of pectin contained in the quince, the fruit improves digestion, helps reduce blood cholesterol levels and strengthens the stomach and liver. Ingredients: Quince, sugar, water, antioxidant: citric acid E330. Pumpkin – an indispensable tool for fighting colds. In addition, it eliminates the extra kilos and even extra wrinkles! This sunny vegetable with carotene positively effects vision and acts as a preventive measure against cancer. Ingredients: Pumpkin, sugar, water, citric acid E330. 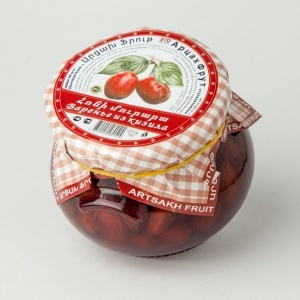 Confiture made from white cherries – is not only delicious, but also a useful delicacy. The Berry has an analgesic effect. Best of all, it helps with rheumatism, gout or arthritis. 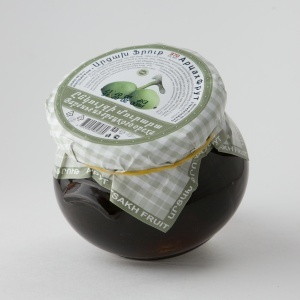 White cherry confiture helps improve kidney and liver function. Ingredients: White cherry, sugar, water, vanillin, antioxidant: citric acid E330. 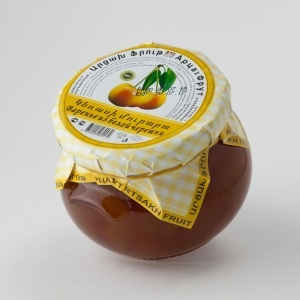 Delicious, sunny and sweet apricot confiture not only gives variety to the ordinary tea party, but also lightens the mood, especially on a cold and rainy day. 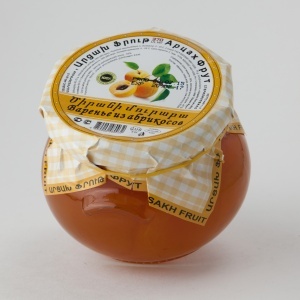 Confiture is useful for people with diseases of the cardiovascular system and gastrointestinal tract. It should be noted of its beneficial effects on the eyes, thanks to the high content of carotene in apricots. Ingredients: Apricots, sugar, water, vanillin, antioxidant: citric acid E330. 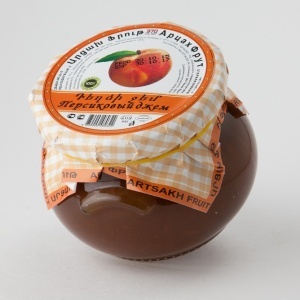 Confiture made from peach – one of the most delicious and healthy preserves. Sweet, juicy peaches contain a range of vitamins and minerals. Peaches are especially useful as a fortifying agent in infectious diseases. 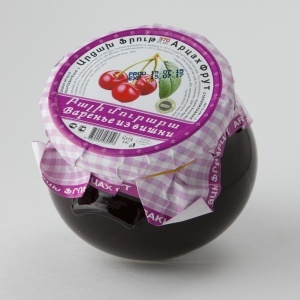 Cherry confiture has an excellent taste and is very useful for health. Cherry berry increases the level of hemoglobin, blood saturating iron, copper and cobalt. Substances contained in cherries help to reduce cholesterol and blood sugar. 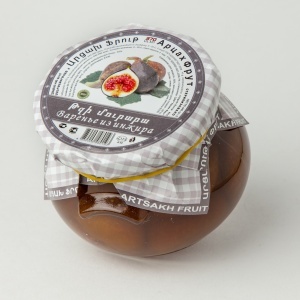 Rose Petals Confiture – an exquisite delicacy, at least once in a lifetime everyone should try it. 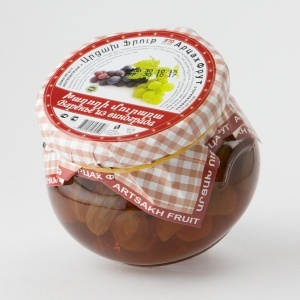 This confiture is not only amazingly tasty and fragrant, but also very useful. It is recommended to use for sore throat, colds, fights irritability, depression and insomnia. Ingredients: Rose petals, sugar, water, citric acid E330. In addition to taste, grapes have many useful properties for beauty and health. Many vital organic and mineral substances as well as vitamins necessary for healthy living are concentrated in the grapes. 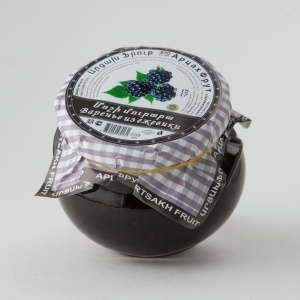 Grape confiture improves mood, helps to resist stress, slows aging and also has a laxative effect. The useful properties of figs has been proved by medicine and it is considered the most mysterious, ancient and healthy product in the world. 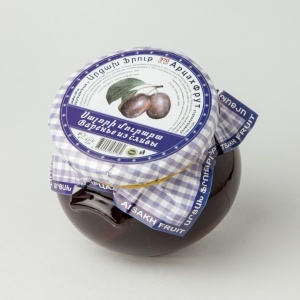 Fig confiture contains many different substances that have very positive impact on the body. In ancient times it was believed that it is enough to have just three fig trees in a garden to feed the whole family. Ingredients: Fig, sugar, citric acid E330. Cornelian confiture – a treat for the whole family. It helps fighting colds, such as influenza, measles, tonsillitis, scarlet fever. Also cornelian confiture can cope with diarrhea, headache. Well suited for the prevention of gastritis, kidney and liver diseases, arthritis and other joint diseases.